For the 2017 film, see Siargao (film). Siargao is a tear-drop shaped island in the Philippine Sea situated 800 kilometers southeast of Manila in the province of Surigao del Norte. It has a land area of approximately 437 square kilometres (169 sq mi). The east where such Art Skyes coast is relatively straight with one deep inlet, Port Pilar. The coastline is marked by a succession of reefs, small points and white, sandy beaches. 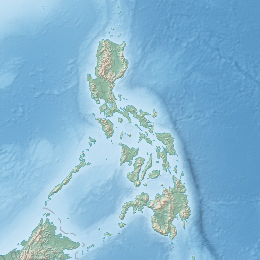 The neighboring islands and islets have similar landforms. There is also a small island near Siargao called Guyam Island. It is uninhabited and has become a popular stop for tourists doing island-hopping tours. The most popular tour includes a stop at Guyam, Naked Island (an exposed sandbar with not much else), and Dako Island. In the past, Siargao Is. could be reached via a direct domestic flight from Manila to Surigao City and then by a ferry to the coastal towns of Dapa or Del Carmen in Siargao Islands. Now, Cebu Pacific has flights from Cebu-Siargao, vv as well as a direct Manila-Siargao route (it stops briefly in Cebu and passengers then switch to a smaller aircraft). There are plans to extend the runway of Sayak Airport in Siargao, to cater to the demands of growing tourists who will be visiting this island paradise. In March 2017, both Cebu Pacific and SkyJet airlines commenced direct flights to Sayak Airport (SOS) Siargao island from Manila Airport (MNL), the first direct flights to the island from the capital. First recorded sighting by Europeans of Siargao Island was by Spanish navigator Bernardo de la Torre on board of the carrack San Juan de Letrán in 1543, when attempting to return from Sarangani to New Spain. It was charted as Isla de las Palmas (Palm Island in Spanish). One of the well-known surfing waves on Siargao and the Philippines, with a reputation for thick, hollow tubes is "Cloud 9". This right-breaking reef wave is the site of the annual Siargao Cup, a domestic and international surfing competition sponsored by the provincial government of Surigao del Norte. There are several other quality waves on Siargao and nearby islands, but Cloud 9 has received more publicity than any other surf spot in the Philippines. While it is not the only wave in the Tuason Point and General Luna areas easily accessible via the long pier from the shoreline and without the need for a boat, it is easily the most popular, leading to overcrowding and the nickname of "Crowd 9" among surfers. Eager foreign and locally owned accommodation and tourist facilities have profited from the magazine publicity and the influx of visitors drawn by the annual Siargao Cup competition in September and the General Luna area currently has nearly 100 accommodation options for visitors. A short motorbike ride outside of town yields even more lodgings, restaurants and bars. Siargao, particularly the municipality of General Luna and the Tuason Point area, is well known as "The Surfing Capital of the Philippines" with a reputation among surfers within the Philippines and the International scene. Eddie Florano has also written a song called "Surfin' in Siargao" from the 2006 Ukulele World: Acoustic & Power Ukulele compilation album. Red Hot Chili Peppers' frontman Anthony Kiedis was also inspired to write a song after his 2014 visit to the island. "Surigao State College of Technology, Siargao National Science High School". Retrieved 22 March 2013. "Siargao Island Institute of Technology". Archived from the original on 2013-03-13. Retrieved 22 March 2013. On March 2018, journalist Karen Davila, anchor of late-night newscast Bandila, narrated in social media her family's "traumatic" experience on the island. Her son’s whole chest bled from abrasions from hitting the rocks on the shallow waters while their surfing "trainer" "suddenly disappeared" after supposedly assisting the family. The journalist called out to the Siargao management, as well as the Mayor, that surfing instructors needed to be professionalized. ^ "Siargao Island: Travel Guide, How to Get There, Where to Stay, Sample Itinerary, Activities & Other Tips! - Lakwatsero". ^ Mascarinas, Erwin M. (28 October 2016). "14-foot dead crocodile found in Siargao". Sunstar. ^ "DIRECT FLIGHT TO SIARGAO -". 24 February 2017. ^ Brand, Donald D. The Pacific Basin: A History of its Geographical Explorations New York: The American Geographical Society (New York, 1967) p.123,131. ^ "The Chili Peppers Almost Used 'The Philippines' As A Song Title In Their New Album". FHM. ^ "Karen Davila reveals traumatic experience with family in Siargao". ABS-CBN News. Retrieved January 25, 2019. Siargao Island, Philippines - Resorts, Surf and Information. Global Surfers Siargao "Cloud 9" Profile and information.